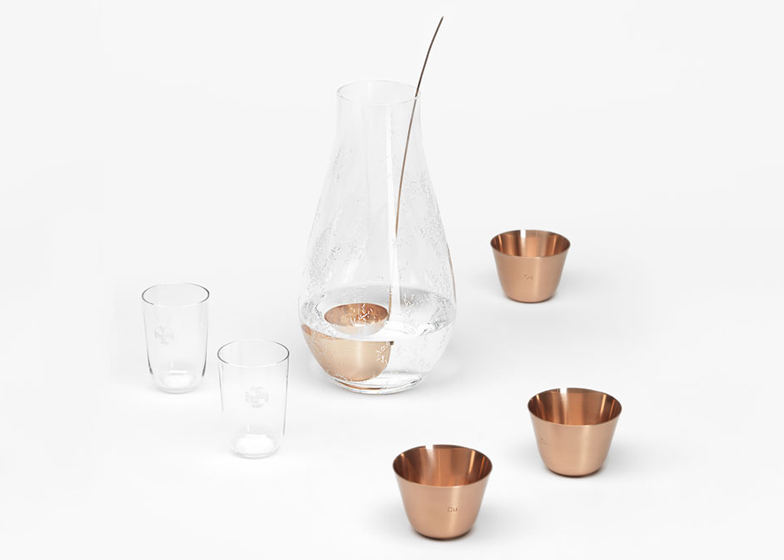 Milan 2014: Formafantasma has created a collection of engraved crystal and copper vessels, designed to purify and serve water. 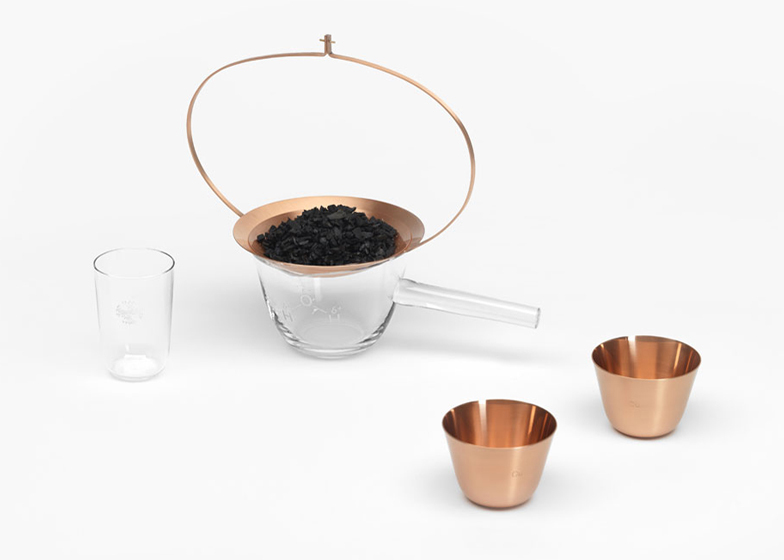 Developed by Formafantasma for Viennese company J.& L. Lobmeyr, the Still collection pairs crystal with copper and charcoal to improve the taste of tap water, which the designers describe as "the most humble and fundamental of all drinks". The charcoal is activated – a process which involves perforating it with tiny holes, increasing its surface area so it can more efficiently remove impurities from water. 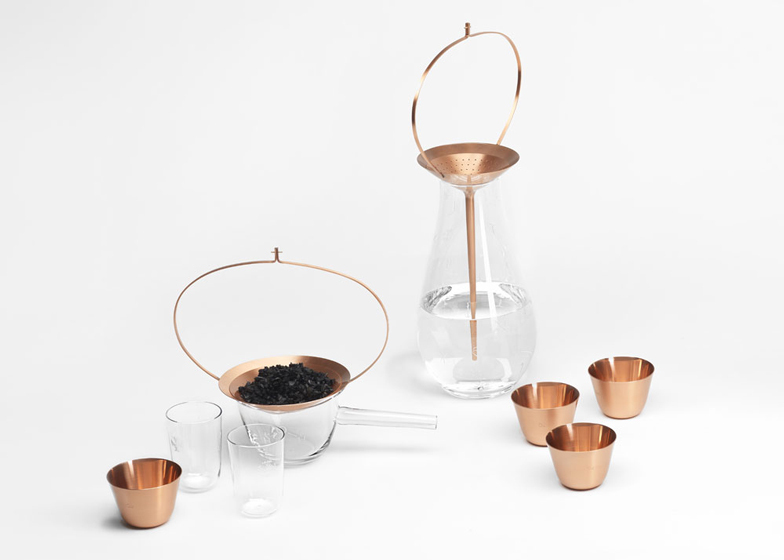 The designers chose the materials and shapes with the aim of elevating water purification into a daily ritual. 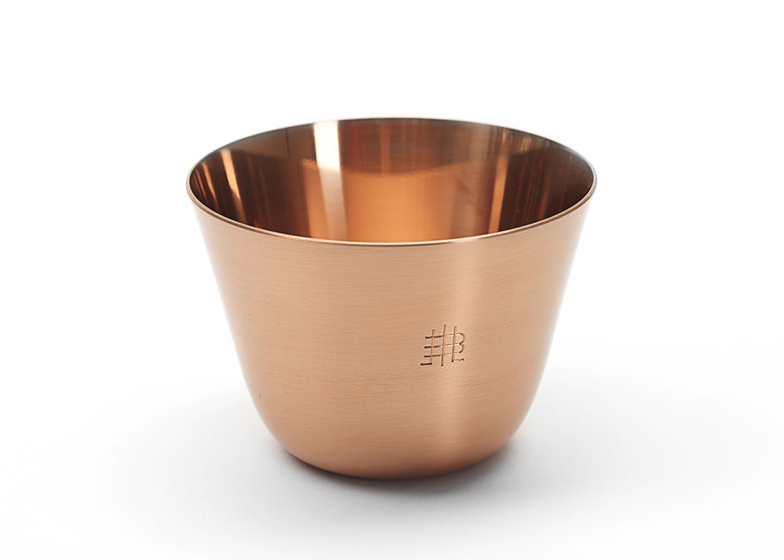 "The craftsmanship expressed in the engravings, the aerial proportions of the copper filters and their subtle religious references invite the user to handle the pieces carefully, thereby transforming these gestures into a daily ritual of water purification," said the designers. 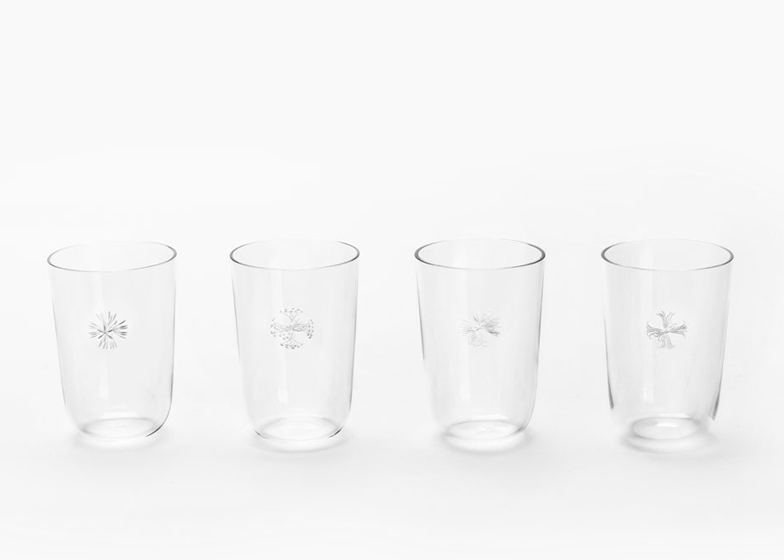 Patterns engraved onto the crystal include a contemporary microscopic view of bacteria found in rivers and a nineteenth century representation of an ocean organism that has a skeleton made of silica, the main element of glass. 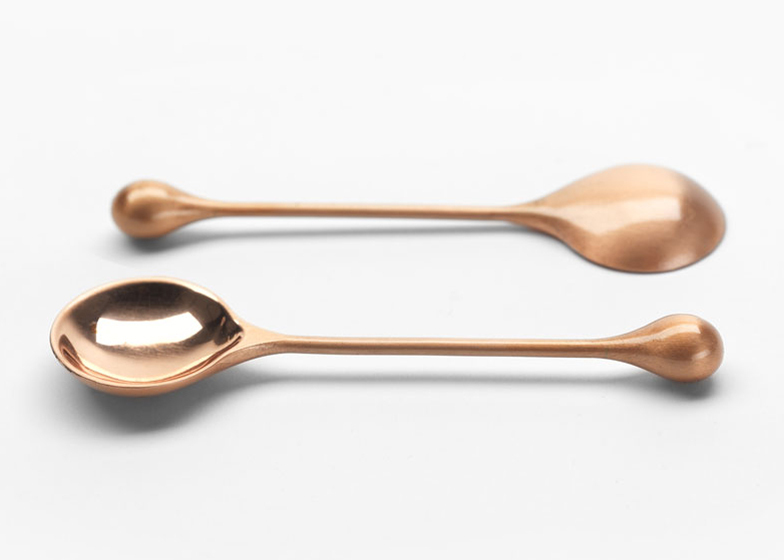 In homage to Lobmeyr's design heritage, the collection's containers for activated charcoal are a reinterpretation of Oswald Haerdtl's 1925 Candy Dish for Lobmeyr, and the copper spoon is a reference to Hans Herald Rath’s Drinking Service no.267 Alpha. 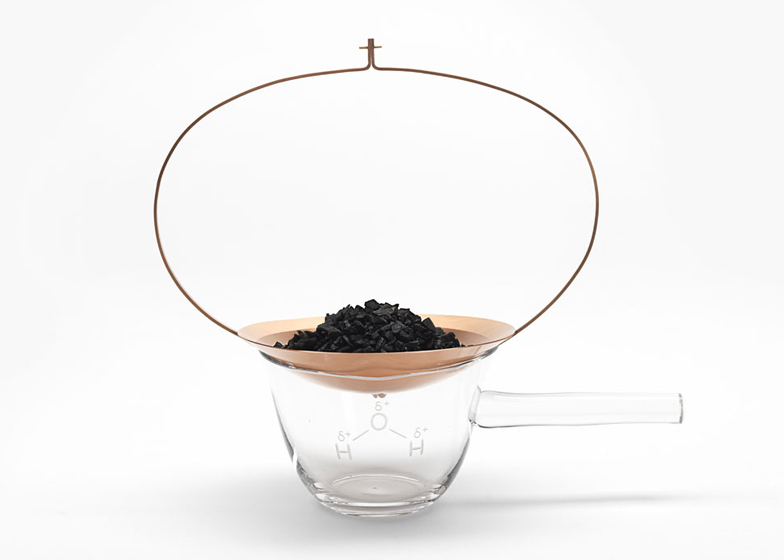 Formafantasma's investigation into water-purification started in 2012 with their charcoal project for the Vitra Design Museum. The Still collection is showing as part of an exhibition curated by Rossana Orlandi at Bagatti Valsecchi, Via Gesù 5, 20121 Milano.